Learning to surf your paddle board is an amazing experience and will bump your overall paddling skill levels to another level. In this camp you’ll learn which gear to use, how to forecast surf and marine weather, choose the right beach for your skill level as well as paddle out and catch waves like a pro. 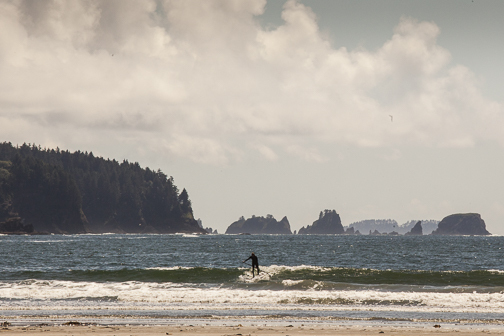 We’ll meet at Hobuck Beach on the very northwest corner of Washington State (and the lower 48). With camping and beach cabins available, you’ll love the expansive sandy beach with epic views of Point of Arches in Olympic National Park and shoreline leading to Cape Flattery. When not surfing, there’s mountain biking, beach combing, wilderness trails to explore and the nearby short hike to Shi She Beach. See gray whales, bald eagles, extensive marine life and nearby tide pools to explore. 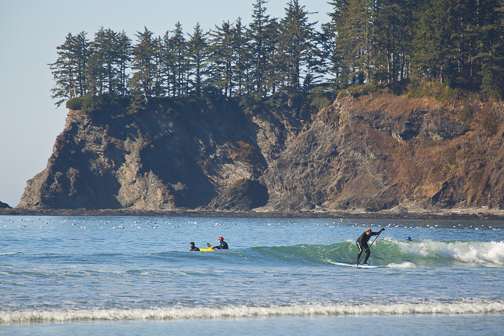 In the nearby town of Neah Bay visit the Makah Tribal Museum, purchase local seafood and enjoy Seattle quality espresso at the Cedar Shack. Timing of when to accelerate or wait for a better wave. Ending your ride and turning around without falling off. Advanced beginners to Intermediate. You should be comfortable paddling standing up in boat wakes and/or wind waves. You should be comfortable with falling and getting back on your board, be able to swim (the basics). Take my SUP Basics 1 & 2 classes to prepare for the camp. Experienced SUP surfers will learn to take your skills to the next level. Instructor Follow-up: Rob will send you a summary of skills you learned in class. 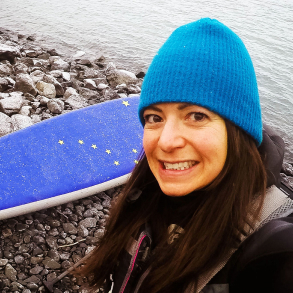 He’ll stay in touch with you after class to assist with finding paddling equipment and offer tips on where to surf in the NW. Group Rate: 399 per person if you have your own gear / 499 if you need rental gear. Rental gear includes: Stable surf style board, leash, paddle, 4/3 or 5/4 wetsuit, booties, gloves, hood.